One of the biggest challenges to any writer, outside of committing their work to paper, is finalizing it. 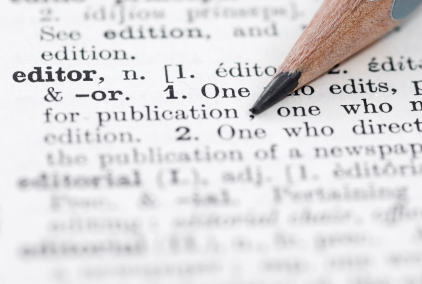 Indeed, with the popularity of self-publishing ever on the rise, it is the role of the editor that has suddenly been heralded. Considering my own experience as both a writer and an editor, I agree that it can be incredibly challenging to fill these roles simultaneously. Moreover, it’s something that I definitely don’t recommend doing. If you are going to self-publish, I highly recommend enlisting the help of a third party to both edit and then proofread your work (and again, these two roles should not necessarily be held by the same person). Having an extra set of eyes on your work is more or less a rule to live by, regardless of if you are a would-be author, a business pro, or even an academic submitting a thesis. Simply put, you are too close to your work to do it all. Fight the urge to edit while you are still in the process of writing. You have probably heard this before, but it’s important in the scheme of things. Even though it’s probably hard to adhere to, I must urge you to not go back and rewrite or delete entire sentences and paragraphs on your first draft. You are only making it harder on yourself if you do. If you must edit while you write, stick to correcting typos or figuring out a new way to start a sentence to avoid repetition. Take a break when you are done writing. Much can be said about setting your work aside for a day or two or three before you start revising it yourself. Of course, this means that you have to plan for extra time in your schedule (especially if you are on a deadline). However, by doing this you are able to look at your work with fresh eyes and you will be able to identify where there are holes or inconsistencies, as well as if there are any other problems with flow or style. Read the work in a different format. What I mean by this is remove your work from the computer that you have been creating the piece on. For something as simple as a blog post, this might mean printing it to read on paper, or even uploading it to a preview area on your blog so you can see what it would like in its final format. For a manuscript, try converting the document to PDF and reading it on a tablet or e-reader. When you do this you will be able to see problems that you weren’t aware of when it was in its native file. Structure and content editing come first. Many times a writer will begin their own editing process by polishing individual sentences, or line editing. When you do this, you avoid the big picture. Instead, consider your work and think about if there are parts of the piece that are too advanced for the story, go off on a tangent or even if there is something missing. Ultimately, major changes need to happen before you begin line editing. Don’t rely too heavily on spell check. Yes, run your work through spell check, but don’t expect this tool to catch everything. A computer can’t tell the difference between homophones, or words that are spelled differently but sound the same, such as which and witch. Also, always look out for words like effect vs. affect and there, their and they’re (a personal pet peeve of mine) while also realizing that sometimes Word might come up with some really crazy suggestions about its and it’s, which are not necessarily right. Read slowly and aloud. It’s incredibly difficult to proofread your own work and I will tell you that even professional editors and proofreaders are not immune to making mistakes. A handy trick I employ when proofreading is to read aloud slowly when I am working on a final draft. As adult readers, our brains have the ability to read ahead and work faster than our eyes. This means that we are not necessarily reading every word that is on a page. On the flip side, when you read aloud and process each word slowly, you are more apt to pick up on mistakes, as well as awkward, clumsy or repetitive words. Case in point, I was working on a children’s book, each page had maybe three or four lines of text in a 20 point font or so. Even though I had read this book several hundred times, I never realized that there was an extra word on one of the pages until a five year old, who was reading aloud, pointed it out to me! Talk about from the mouths of babes! So when proofreading, keep this lesson in mind: read like a five-year-old. I guarantee you will find your mistakes! In closing, while editing your own writing is not necessarily easy, it is possible. However, if you are feeling overwhelmed by the idea of perfecting your work, I invite you to reach out to Grammar Chic, Inc. for help. 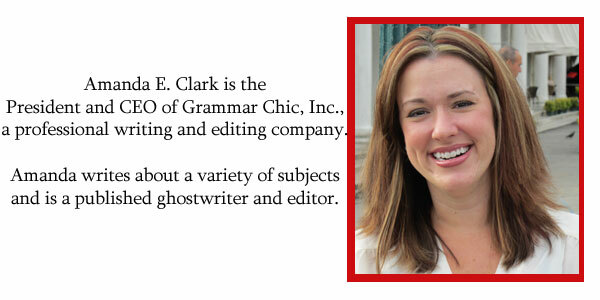 Contact us at 803-831-7444 or visit www.grammarchic.net right now. Really helpful tips to Edit Own Writing.